(2014) Are you new to Daz Studio and the wonderful world of using 3D modeling to create fantastic artwork? Don't get disappointed and throw your hands in the hair. Grab a copy of this tutorial to take you step-by-step from nothing in the viewport to how to use the variety of items available in the Starter Essentials bundles for Genesis, Genesis 2 Female and Genesis 2 Male to create your very own scenes. Don't be afraid of all the power that Daz Studio offers! Hit the ground running by learning what you need to get started without the need to buy anything else. Once you know what you are doing, nothing will be able to stop you. 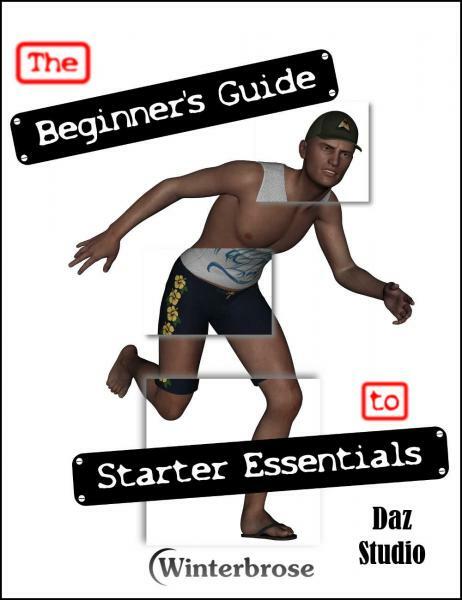 This guide is fully illustrated in PDF format covering everything from installing the Starter Essentials manually or with DIM to how to find all that wonderful content included for free from DAZ3D.